I have a vivid memory of one shopping trip I had at Debenhams in Dundee (Scotland). I was at the YSL counter- lost in lipstick swatching, and then I heard 2 women chatting with the (my) YSL SA about 3 feet from where I was standing: "........from INGLOT.......yes......for my engagement......so good.....hehe....." Suddenly my mind was *alert* and I looked up. The 2 women were of Indian or Middle Eastern origin, I wasn't sure. From what I understood, one of them just got engaged & the wedding date was approaching. I struggled with a thought- Should I? Interrupt them like a nosy person? Nah, I shouldn't. I'll just google. Ahh....I gots to know! I walked towards them & pretended to ask the YSL SA something about the lipstick I was holding, and then I casually added: "Inglot is here in Dundee?" Luckily, I didn't get weird/annoyed looks. They told me it's only in Aberdeen, another small city about 1 hour away from Dundee. The point of my story is, not many cities are lucky enough to have Inglot. In India, it is available in about 8 cities! It's not a store you can live without once you've had a taste (bite?) of it. Will show you what all I picked up during this visit in another blog post! Hope you all had a great weekend. Last night, we watched this thriller movie, Anna, and it was pretty good. Ending might confuse you a bit, but it was like a page-turner. Oh I agree whole-heartedly. Once you get a taste of Inglot you miss it so bad when you move to place where there is no Inglot! Anyways...I used to live in UAE earlier, where we had many Inglots...and then I moved to Canada where the only Inglot is in Montreal! Like all other cool European brands! Oh how i miss Inglot...and Mango...and mothercare...and M&S and Debenhams...and BHS...now I am homesick! 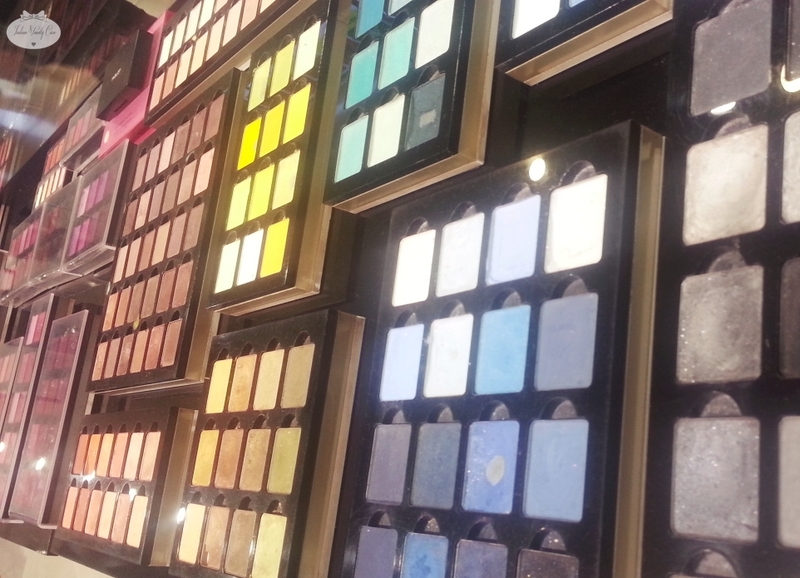 I can'y wait to shop at Inglot on my next trip to Milan. I live in France and there is no Inglot here ! they have such amazin nail shades! OMG!!! I see lots of great products. I love Inglot. I love their products. I super love their formula. I wanna visit this store too.